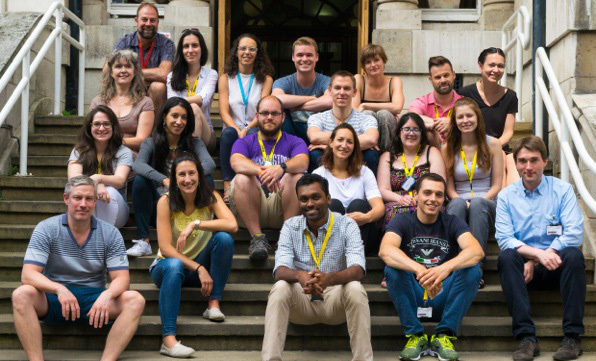 The fifth edition of the EMBO practical course: "Developmental neurobiology: From worms to mammals" took place from 18th June to 1st July 2017 at King's College London. Organised bi-annually since 2009 by the Centre for Developmental Neurobiology, this course offers students the opportunity to acquire in-depth knowledge of experimental approaches in six different model species (from Xenopus to mouse) and to closely interact with international leaders in the field. 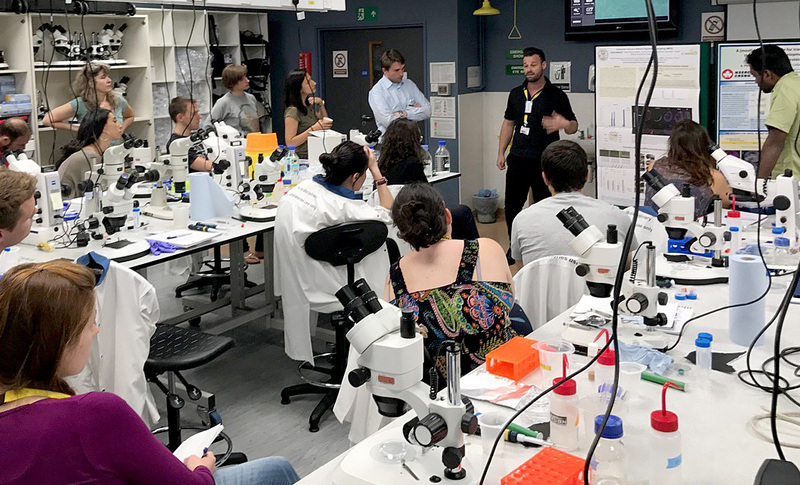 "Organising the EMBO practical workshop was an intense, but uniquely rewarding experience. Although we did a lot of good science, the best thing about the course for me personally was to bring so many different scientists from different countries and at different stages of their careers together in a friendly and supportive environment. This became particularly obvious during the evening dinners with our external speakers. I look forward to organising the next workshop in a couple of years." 16 postgraduate students and junior postdoctoral researchers were selected from over 48 applicants from across the world to participate in this year’s edition. Each day, hands-on practical sessions were organised by Group Leaders, with the collaboration of PhD students, postdoctoral researchers and technicians from the Centre, to cover the broad set of techniques and model organisms used at the CDN. Students learned how to perform in ovo and in utero electroporation to study the dynamic aspects of the development of the nervous system as well as how to use sophisticated imaging analysis to study the formation of neural circuits. "I would absolutely recommend this course. It was a great experience and I learnt/was exposed to many new concepts and experimental systems." Throughout these two weeks the students also had the opportunity to interact with our invited speakers, all international leading neuroscientists. They learned about the latest research on the mechanisms controlling the development and evolution of the cerebral cortex, from stem cells to neuronal networks. 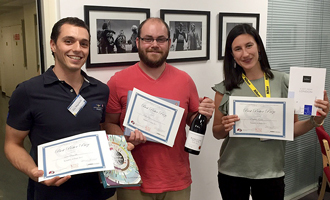 During the poster sessions of the course, students also presented their own research work, with Keith Sabin, Elia Magrinelli and Madalena Carido being awarded the three best poster prizes. Overall, this year was another great edition; students and organisers were all very happy and recommend the course to every young scientist! "I loved it and feel very privileged to have participated." This EMBO practical course was organised by Clemens Kiecker, Robert Hindges, Corinne Houart, Laura Andreae and Oscar Marin with the support of Stefania Boscolo, Lauren Ryan, Greg Anderson, Steve Franey and the PhD students and postdoctoral researchers from the CDN. "Excellent speakers and amazing follow-up discussions."